One reason behind a beautiful smile is a person’s teeth. It is not there just to make you look attractive in pictures, but it plays an important role in our general health and overall nutrition. We usually deal and communicate with different types of people each day and our teeth contribute a lot to our speech and personal appearance. Oral health should not be taken for granted, for it serves as our mighty armor whenever we talk to people. If not well taken care of, oral health problems will occur and general infection will soon happen. That is why a regular dental check-up is a must. Even if we brush our teeth 3x times a day (sometimes more), there are still small areas in our mouth that are missed by regular brushing and flossing. When plaque has formed, it becomes difficult to remove. Then it builds up and turns into tartar. There will come a time that only a dental cleaning can remove the unwanted buildups in our teeth. Having plaque and tartar buildup can also affect the mouth’s gum tissues which can lead to gum disease. Such problem should not just be brushed off as it may lead to serious oral problems. 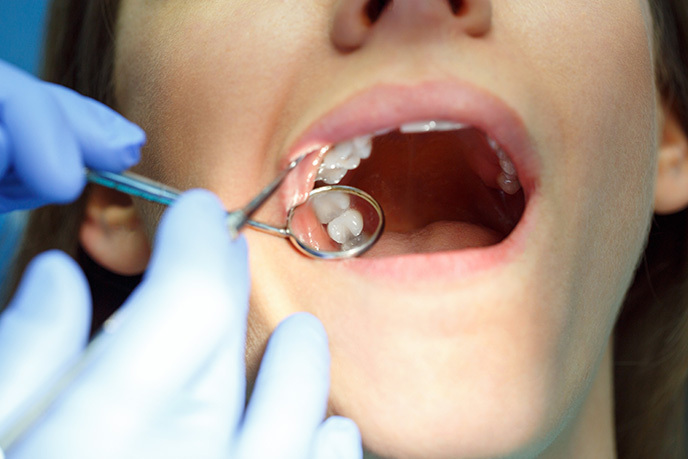 A gum disease may need for a surgery and proper medication properly taken care of by a dentist. You may not be aware of it but there could be deeper reasons for your toothache such as impacted wisdom tooth which has become common because of an irregular dental check-up. This should be immediately addressed properly by an oral health professional. Do not wait for the time that a root canal would be necessary for your oral health problem. Other oral health issues such as bad breath and tooth decay should be consulted with a dentist. Early detection of this ordinary and common oral health problem will make it curable and prevent you from acquiring a serious bacterial infection. Visiting a dentist regularly will allow to identify and to discuss oral health habits that you might not be aware of to be wrong. It will also prevent you from incurring greater expenses because of an oral health problem in the future. Above all, you become more confident in dealing with people knowing that you have a good oral health. One of our “front-liners” is our teeth and it is important that it creates a good impression on people we encounter each day. Visiting a dentist regularly is not a choice, but a necessity for our overall well-being.